The Lolo National Forest is located in west central Montana and encompasses two million acres. We have ample recreation opportunities such as camping, water sports, and hiking. We also have two wonderful visitor centers. We invite you to explore this web site, and contact us if you have questions. 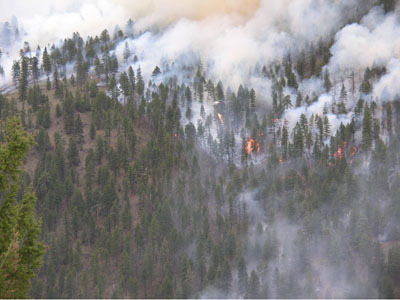 The Lolo National Forest has created a “story map” to provide important background and context for fire operations during the 2017 fire season. The map contains audio and visual elements that illustrate many of the complex components that influence and guide fire operations – including risk assessment, decision making protocols, past hazardous fuel reduction work, initial attack resources, weather, terrain, fuels and values at risk. The map summarizes Initial Attack events on many of the large fires the Lolo National Forest experienced during the 2017 season. The audio portion is approximately one hour. The map also contains important information about how those living in the wildland urban interface can prepare their property and protect it from wildfire before fire season begins. The Lolo National Forest is working on numerous fuels reduction projects throughout the wildland urban interface along the US Interstate 90 (I-90) corridor with the objective to protect communities and landscapes along 80 miles of I-90 from Missoula to St. Regis, Montana. Communities within the corridor are Bonner, Missoula, Frenchtown, Huson, Alberton, Tarkio, Lozeau, Superior and St. Regis. Click here to read more and explore our project story map. 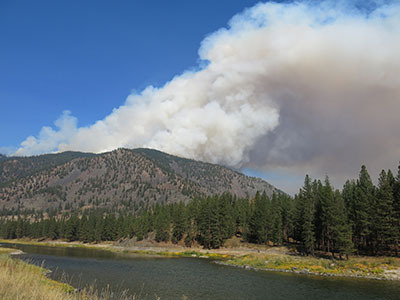 Missoula County has published a draft Community Wildfire Protection Plan, which is a community-based plan focused on identifying and addressing the local threat of wildfire. The CWPP determines what is at risk and provides a roadmap of actions for the community to address its wildfire risk. 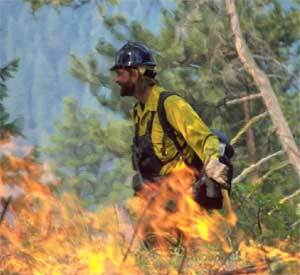 Missoula County adopted its first Community Wildfire Protection Plan (CWPP) in 2005, which was initiated by the Missoula County Office of Emergency Management (OEM) and incorporated input from numerous stakeholders. Since that time, many changes have occurred across the county, including new housing and roads, fires on the landscape, and public land forest fuel treatments near communities. These changes can affect the way a community plans for fire and have prompted the need to update the CWPP. Visit the Missoula County Story Map to explore the CWPP and find out more! The Lolo National Forest, through the Southwestern Crown efforts, works to prevent Aquatic Invasive Species (AIS) on two fronts. Read more at this link. This unique training center offers courses in backcountry skills and historic building restoration. Find out more, and see our latest training schedule! The Lolo National Forest is active in inventorying, assessing and eliminating barriers to the movement of fish and other aquatic organisms. Love working hard in the dirt and ashes? If you're interested in becoming a member of our elite firefighting crew, visit our hotshot information to learn more about firefighting and how to apply. The signed Record of Decision for the Forest Plan Amendments to Incorporate Habitat Management Direction for the Northern Continental Divide Ecosystem Grizzly Bear Population, Helena-Lewis and Clark National Forest, Kootenai National Forest, and Lolo National Forest (December 2018) is now available: www.fs.usda.gov/goto/flathead/gbamend.